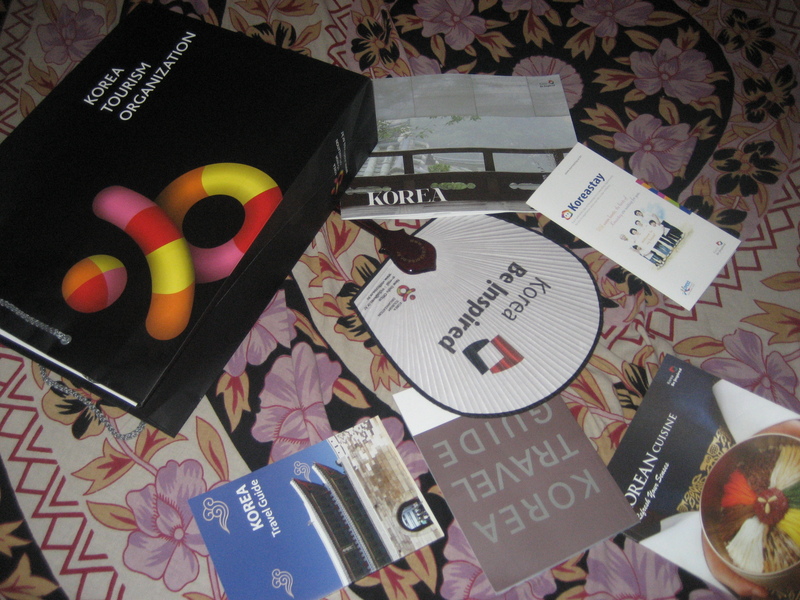 So, today, I participated in the preliminary round, India of Quiz On Korea 2014 with my friend. Both of us couldn’t make it to the final round. That’s okay, we’ll win next year! We didn’t get the lucky draw prizes or the grand lucky draw prizes, either. But we won Korean Tourism souvenirs and merchandises which are also known as “consolation prizes” as in to “console” the disqualified participants. The consolation prize to “console” the participants who couldn’t make it. This prize is indeed useful, if you’re going to Korea (which is not happening with me!). 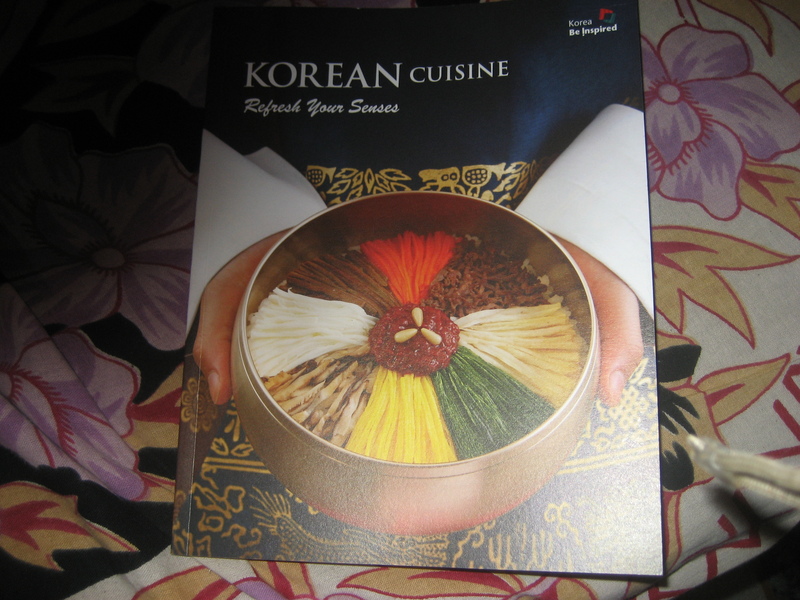 The guide books, the book about the cuisine and the photobook are very informative…..and the fan is good for when you don’t have electricity at home. I liked this book. I like Korean food, you see! I like the way Korean people set their table. It’s so systematic and organised. They have numbers for their dishes like Kimchi is usually the 9-cheop or dish. Some of the dishes are very healthy. If you want to go for a detox diet, you should have seaweed soup and rice punch! 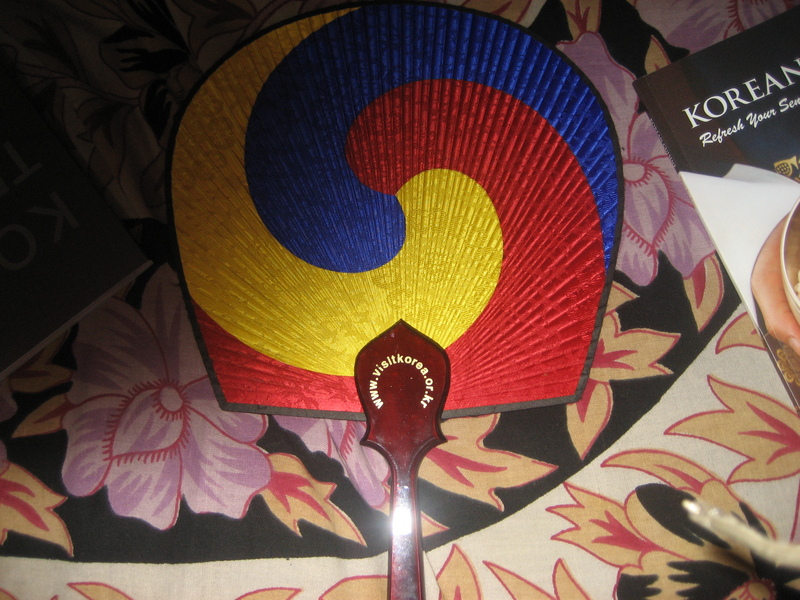 The awesome and useful fan we got! This fan is awesome! It’s really useful to get rid of the Delhi summer! This pamphlet is very useful. 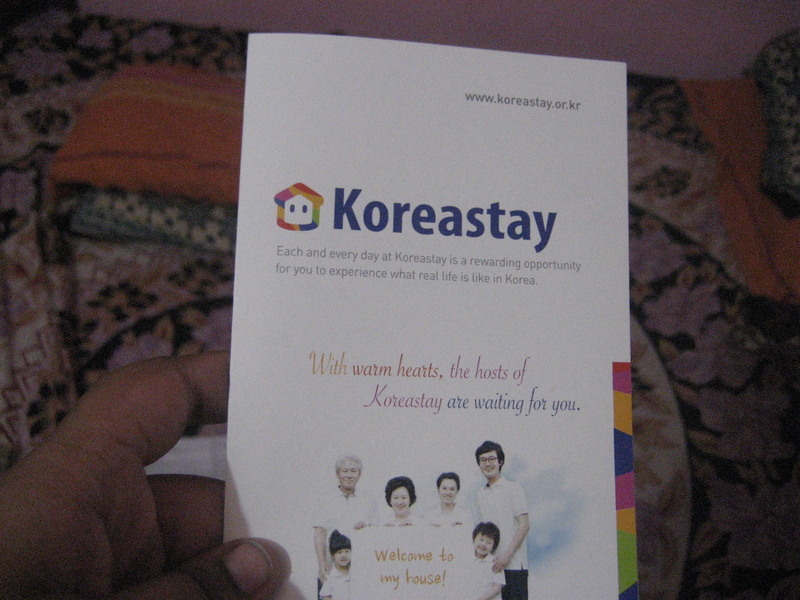 I really want to stay with Korean host family! 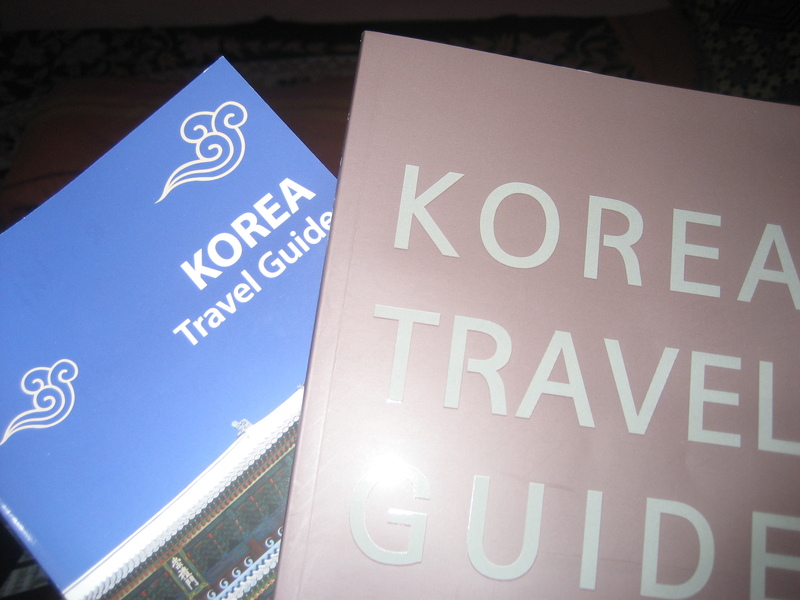 The travel guides have information about food, museums, temples and academies all over Korea, as well as, useful Korean phrases. 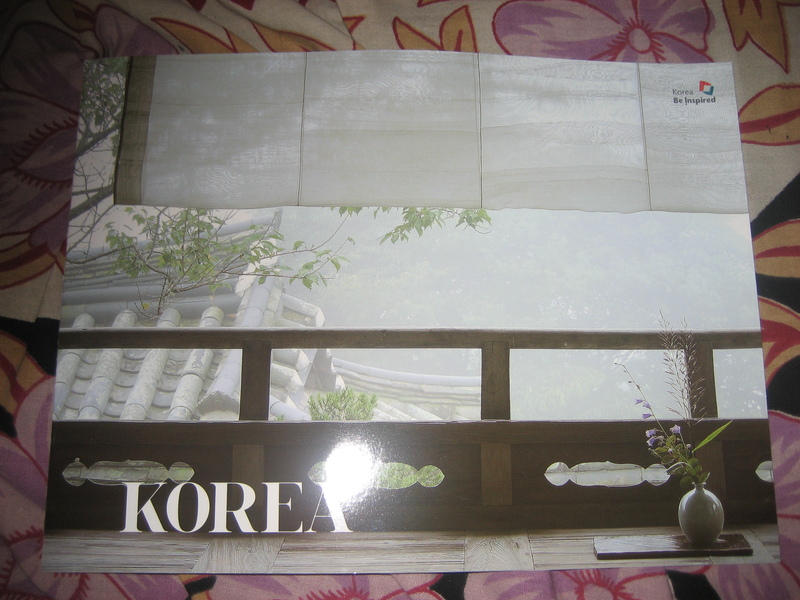 This photobook is beautiful. It talks about important elements like Gi (energy), Heung (fun), and Jeong (peace). The experience was good. Hopefully, next year, we will make it to the final round.